Maths and English Workshops, Every student has a programme that is built just for them. They concentrate on coming to grips with topics that they are covering at school whilst also working on a parallel thread that is put together to fill any gaps that may exist in their core skills. MagiKats offers out of school Maths and English tuition suitable for all children from mainly ages 4 to 16. Children who want help with their school work want that help NOW. They want topics being covered at school to be more accessible immediately, yet at the same time are likely to have gaps in core skills that need to be filled. This is why we work on two strands simultaneously - to give an immediate boost underpinned by steady consolidation. Every student has a programme that is built just for them. They concentrate on coming to grips with topics that they are covering at school whilst also working on a parallel thread that is put together to fill any gaps that may exist in their core skills. We also help with NAPLAN preparation and students are able to stay for an extra session to complete the MagiKats homework we provide them with. MagiKats is a programme written by educators, to support the school curriculum. Our materials are adjusted as necessary for each region in which MagiKats operates, from Australia to the UK and the Middle East. We keep everything up to date and adjust whenever necessary to remain in line with student need. Mention this ad and get a free assessment as well as no joining fee!Minimum enrolment of three months. Mention this ad and get a free assessment as well as no joining fee! Students concentrate on topics that are relevant to their current academic year. We use a multi-sensory approach, mixing conventional work and enjoyable applied activities. We can offer extension, consolidation or remedial help as needed, including revision work and holiday programmes when required. MagiKats English and Maths has no blog post yet. 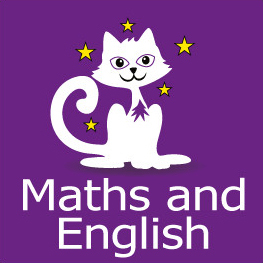 Start a chat now if you have any blog post topic for MagiKats English and Maths. How would you rate MagiKats English and Maths?